Construction on North Atherton Street is one of the projects in central Pennsylvania causing travel delays. Information on road projects is available at 511pa.com. Road construction in Centre County shows no signs of stopping, but some of it will be slowing down for upcoming events. Penn State student move-in, Grange Fair and Ag Progress Days are all on the calendar for August. 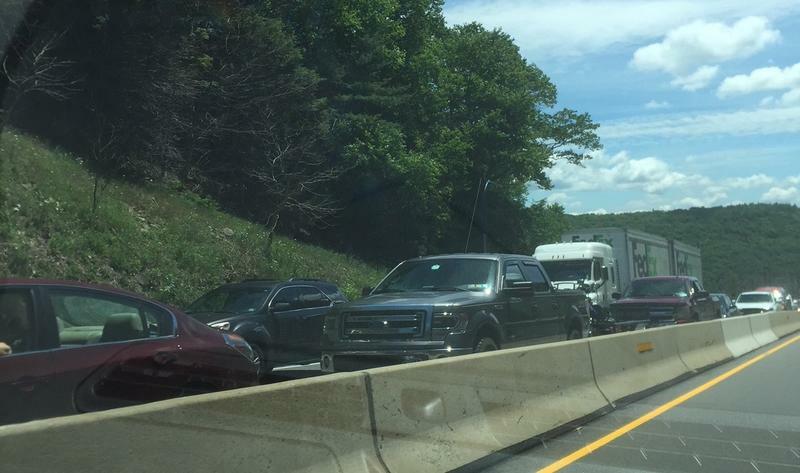 PennDOT and local officials said they know that and they’re trying to keep traffic moving. That includes on Atherton Street. Marc Maney, with PennDOT, said that project is slated to be finished by Thanksgiving 2019. “We’re coordinating everything to do everything at once, so we can be outta here and hopefully not come back in and do any additional work after next year,” Maney said. 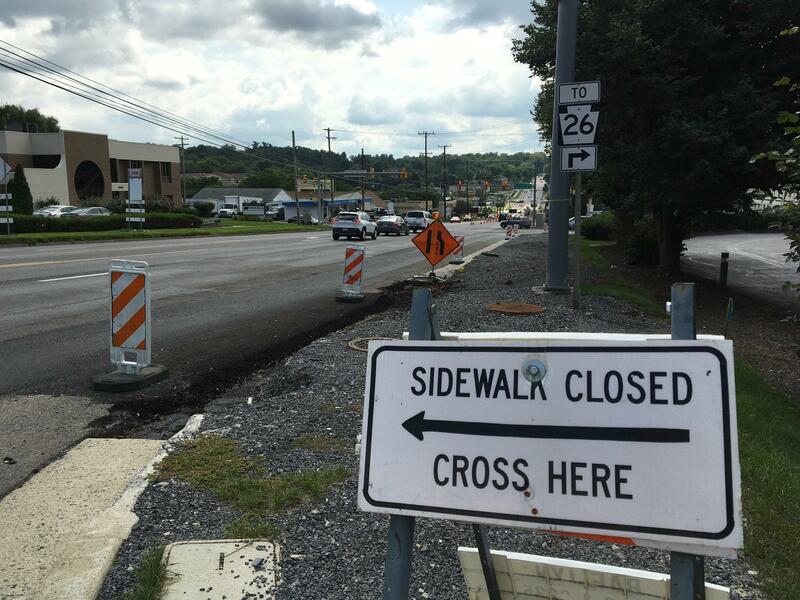 Another PennDOT project causing travel delays is an overhaul of Route 322 at Potters Mills. PennDOT has been using a detour for westbound traffic, but plans to temporarily lift that by the end of the day Aug. 10. Work is underway in State College too. 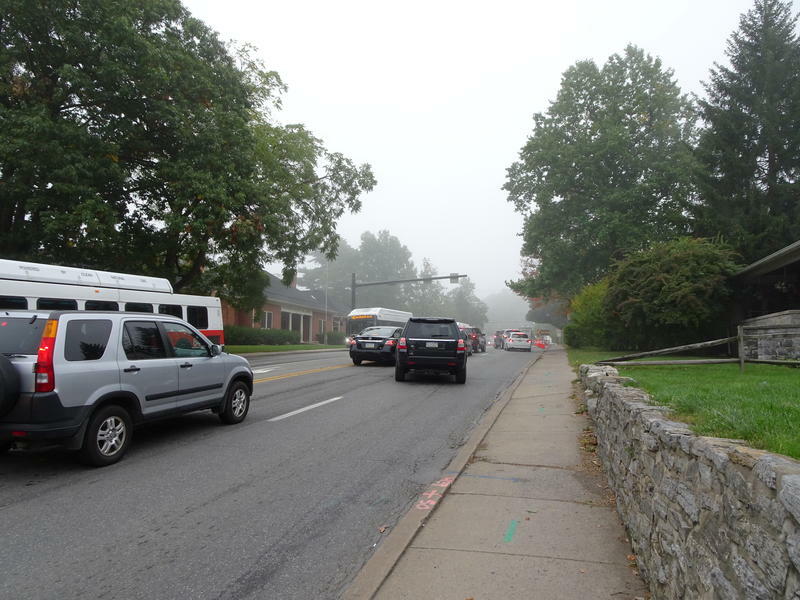 State College spokesman Douglas Shontz says because of rainy weather and other delays, construction in the borough may have an impact on traffic during student move-in week. “There’s still a lot of various projects going on, but we’re trying to coordinate those all, especially with the impact of all the students and families coming in next week, that those are mitigated and people are able to come into the area, and out of the area smoothly without that many delays,” Shontz said. 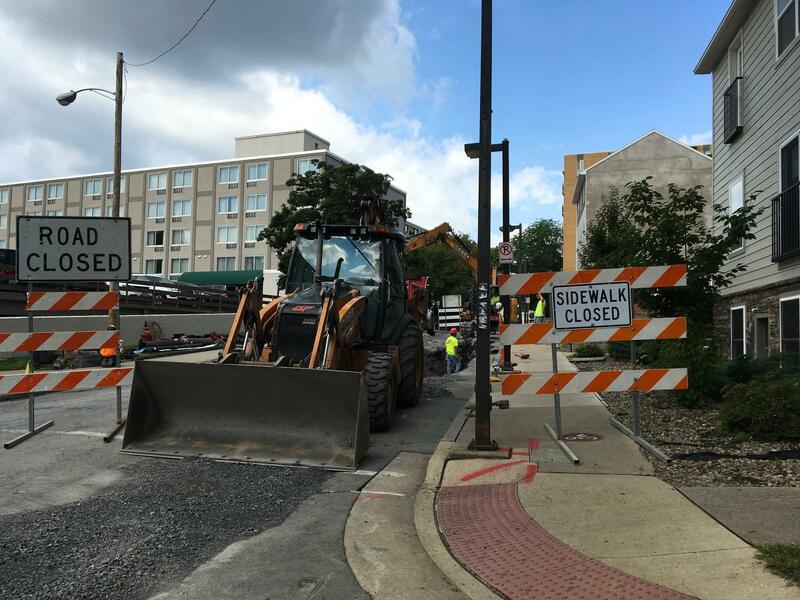 Construction on Pugh Street in State College is one of many projects in the borough in summer 2018. PennDOT press officer Marla Fannin said PennDOT tries to coordinate with other agencies. The transportation projects aren’t winding down. Drivers on Route 322 through Potters Mills can expect one-lane traffic in a section of that project well into football season. 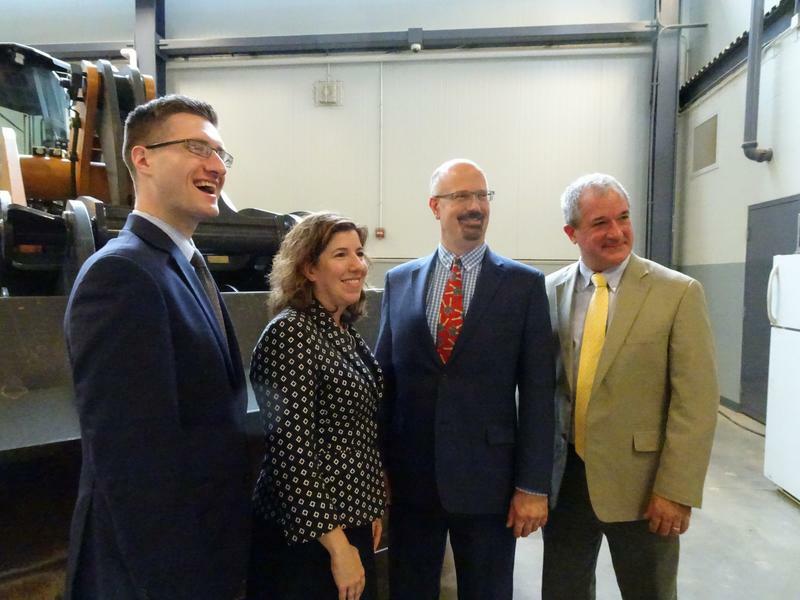 Information on PennDOT projects is available at www.511pa.com. 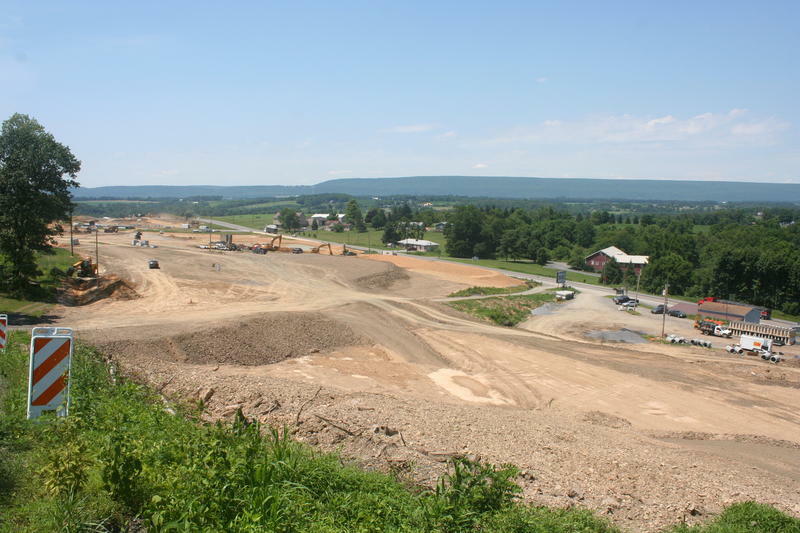 Construction is underway on PennDOT’s Potters Mills Gap project, which will extend the four-lane highway from the Centre and Mifflin counties border to west of Potters Mills. “Right about where that yellow truck is dumping, that will be the bridge, and the roundabout will be just to the right of that where you see that pick-up truck," said construction manager Greg Sidorick on a tour of the project that will eventually mean smoother driving on Route 322 through Potters Mills.